For fans of the stories of Philippa Gregory, Suzannah Dunn and Jeanne Kalogridis, and the exquisite style of Sarah Waters's writing, A RAVEN'S HEART is a bold, exuberant and surprising retelling of the story of Mary Queen of Scots. 'I am awaiting my castle and the Queen is waiting for love.' Scotland, 1561. A ship carries Mary, the young Queen of Scots, home from the French court to wrest back control of her throne. 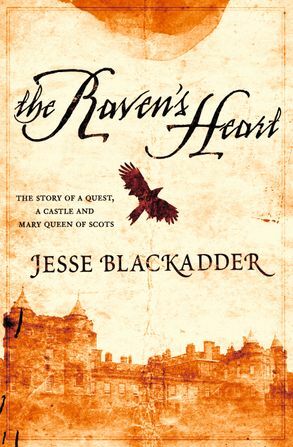 Masquerading as a male crew member, Alison Blackadder must find a way to gain the Queen's favour so she can win back her family's castle and lands, cruelly stolen by a murderous clan a generation before. Surrounded by treachery and deep suspicion, the Queen can trust nobody in the Scottish court until Alison, with her flair for disguise, becomes her most valued confidante and spy. But Alison's drive to reclaim the Blackadder birthright is relentless, setting off events that threaten to bring down the monarchy. Alison discovers lies, danger and betrayal at every turn. then, unexpectedly, she finds love ... this sweeping and imaginative tale of political intrigue, secret passion and implacable revenge is a breathtaking epic from a remarkable literary talent.